So you already have an existing website. You have spent a fair bit amount of money and wonder if you are getting the most for your investment into your website. Am I getting the most visitors as I can to my website? Is my competitor’s website doing better than my website? Why am I not getting many inquiries or leads from my website? Why are my products and services not found on Google? Well, you are not alone.. These are pretty common questions that we heard from our clients and prospects. Our answer to these questions is usually this: No, your website can do better in terms of traffic and the number of new leads. We have the data to back it up. I’m sure by now, you already have traffic tracking installed on your website such as Google Analytics which we will be using to analyze this case study. One of our earliest SEO (Search Engine Optimization) client first approached us and told us about their problem: They have just invested RM5000 into a new website with another company, and spend RM2000 on Google Adwords PPC (Pay-Per-Click) campaign. But they did not get ANY calls or leads. They asked us what we can do for them. 1) It was poorly optimized for SEO, and their products and services key search terms could not be found on Google. 2) The Google Adwords (PPC) campaign was not the best way to create long-term value for the website. The client agreed for us to do a comprehensive SEO campaign for them, and the results we will be looking at is over the course of 2 years ++. Here are some stats of their website before they engaged us for the SEO campaign. Total Website Per Month: <50 (Less than 50 visitors a month) **Note: This is quite common for most websites that are not optimized for SEO. They hardly get any visitors, and usually, it is less than 50, and rarely gets more than 100 unique visitors a month. We started off by ranking for 25 new keywords for them for their products. The first month, we have increased their website traffic from less than 50 visitors a month to over 460 visitors. From there, traffic has continued to grow steadily until today without much maintenance. Throughout the 2 years, we have steadily continued to add new keywords and rank them on the first page of Google, and today, they have 50 keywords on the website. As of this writing, we are in the midst of preparing another 15 keywords, so 2 weeks after this post is published, the website should have about 65 keywords on their products and services, with most ranking on the first page of Google. Today, they have an average of 1350 to 1500 unique new visitors a month to their website. Let’s analyze the data a little more. Over the course of 28 months since June 2016, we have generated over 23,609 unique visitors. Bounce rate for these visitors is 50.77%, which means 50.77% of these visitors leave the website without clicking on any other page. We will consider all bounce rate as Not Qualified Leads. Of these 23,609 visitors, 49.23% of them continued to browse the website and spent an average of more than 2 minutes looking through the website, viewing the products and interacting with the branding represented by the website. Now, do you think all of these 23,609 visitors will buy something from this company? Of course not. Only a small percentage of them will result in actual customers who made an actual purchase. From this screenshot, you can see that all the traffic was either from Organic Search from Search Engine like Google or returning (repeat) customers as represented by Direct. There was no paid traffic since we took over the marketing of this website. So what is the percentage of conversion from Visitors to Sales? 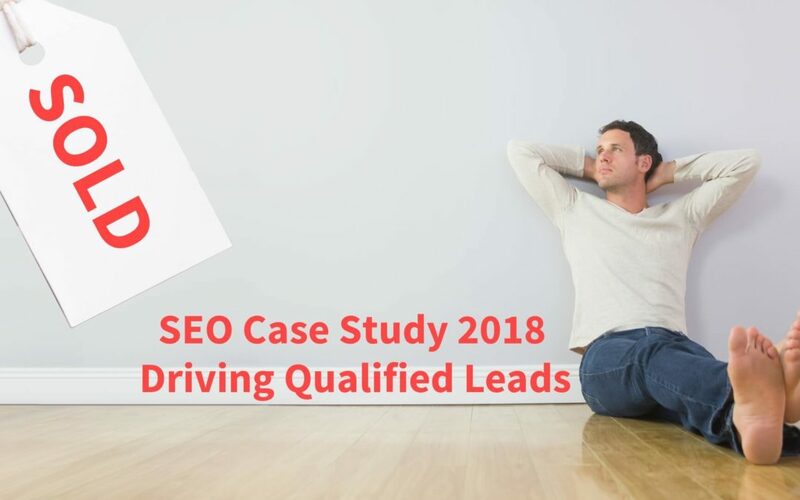 According to Eric Siu for Search Engine Journal, SEO leads have a 14.6% conversion rate, while outbound leads (such as direct mail or print advertising) have a 1.7% conversion rate. These are the average number of leads generated from the SEO traffic. However, not all of those leads will turn into actual sales. The more accurate answer is, it varies from industry to industry. Usually, only 1 to 5 percent of that traffic will turn into an actual sale. On a well-optimized website, the conversion rate can be even higher. But for this case study, we will use a conservative figure as an example. We will be using a conservative figure for this case study. How much of the traffic convert into sales if the conversion is 1%? Total Unique Visitor: 23,609 x Conversion Rate: 1% = 236.1 visitors turn into sales. What is the value of 1 single transaction? As this customer is supplying high-value industrial products for both local market and export, their average transaction can range anywhere from a few hundred into tens of thousands Ringgit. However, again for this case study sake, we will be using a low value so that the case study reflect the actual figure more accurately. Let’s assume the average revenue for each transaction is RM1000 (One Thousand Ringgit). I can assure you that this figure is ultra conservative as the actual figure would likely be 2 to 3 times or more. How much revenue did the website bring in? Total 236 transactions x RM1000 = RM236,000.00 in revenue for the 28 months the SEO campaign has been running. What if the average transaction is RM2000? 236 transactions x RM2000 = RM472,000.00 in revenue for the 28 months the SEO campaign has been running. How much did they invest in the SEO campaign? Being one of our earliest clients, we gave them a great price for the whole comprehensive campaign. Total I think they have spent RM7200.00 (Seven Thousand Two Hundred) only. Do you think they have gotten their money’s worth in terms of ROI (Return on Investment)? We will leave it to you to make the conclusion. Answer: Lifetime Value Of Each Customer. This basically means that some of the customers who have purchased from this company would have repeat purchases, over the next few years, so this would boost the sales figure even more. Think about that. What is the average transaction volume for your customer? How many times would they be a repeat customer? What are your conversion rates? How may visitors are you generating to your website every month? If they were to do nothing, their website will continue to rank well, and the traffic will continue to grow for years and years, without them paying another single Ringgit. That’s the nature of SEO. If your SEO campaign is done right, your ranking should continue to strengthen year by year, and not diminish. If the company who does the SEO for you uses tricks and short cuts (Black Hat SEO) to rank your website, then you will find that the result that you are getting is short lived. But like this client, we are using only White Hat advance SEO strategies only, so we have no worries of their website suddenly losing ranking. We are confident that their website will continue to bring in revenue for them month on month, year on year. This client has hired us to revamp their existing website, and create another new one for their other business products. We are also adding more keywords for this existing website, and also rank new terms for the new website. I can safely say, the client is quite happy with the performance of their website. P/S: If you have any question about this report, feel free to ask and and we will be happy to answer them for you. B2-2-2, Solaris Dutamas 1, Jalan Dutamas 1, 50480 Kuala Lumpur, Malaysia.